Laughter is the best gift you can give this holiday season. 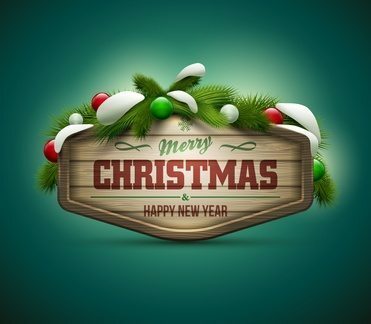 The traditions of Christmas find many people enjoying time with family and friends, exchanging gifts, feasting on festive foods, and sharing laughter about Christmases past. So why not add to the joy of the season with a bit of funny Christmas entertainment? Whether you are planning a corporate Christmas party, hosting a holiday fundraiser, or just gathering all of the employees together to celebrate, adding some funny Holiday entertainment to the mix will have everyone in good spirits. We all have individual memories of that one holiday we will never forget. Maybe it is when Cousin Jay ate so much raw cinnamon roll dough that it came out his nose, or the year Grandma dropped the turkey on the kitchen floor but served it anyway. Alternatively, maybe it was the time your boss put on that one crazy Christmas party everyone still talks about. The funny Christmas entertainment options below will ensure that this Christmas is one everyone will remember forever. Each entertainer can have any audience leaving jollier than when they arrived. Choosing entertainment for your work party is easy if you know what to look for. 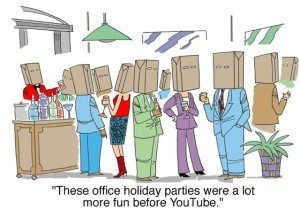 These entertainers take the cake as a theme for fun office holiday party ideas that will impress everyone and make for a delightful evening all the way around. Bringing in musical talent makes any office party enjoyable, especially when the performer has a blend of skills. Comedians are always a sure-fire hit because they take the ordinary, everyday problems of real life and shed a humorous light on them. It is easy to relate to stories of relationships, parenting, technology, growing up and just about any other theme you can think of. They draw from their experiences in a way that connects with audiences and makes them chuckle. Bring the side-splitting laughter and the joy of music to your next co-worker get-together by picking from fun office holiday party ideas that include stand-up comics and musicians that entertain. Ross Bennett brings in an expressive way of getting the laughs. Growing up in the 1970s and once headed for the military, the natural joker changed paths and started performing at nightclubs instead. His candid look at topics includes New York exposure as a small-town guy, facing down little old ladies, trying to park, water skiing and more. Keith Alberstadt is a self-proclaimed smart-aleck, and his quick wit is always right on the money. He says it like it is, getting to the heart of matters with sarcasm and fast punchlines that keep audiences roaring. With a history as a contributing writer for Saturday Night Live’s Weekend Update, he touches on every topic imaginable in a charming way. An accomplished ventriloquist and pianist, Taylor Mason keeps viewers enthralled with his unique blend of bursts of humor backed by skillful music talent. 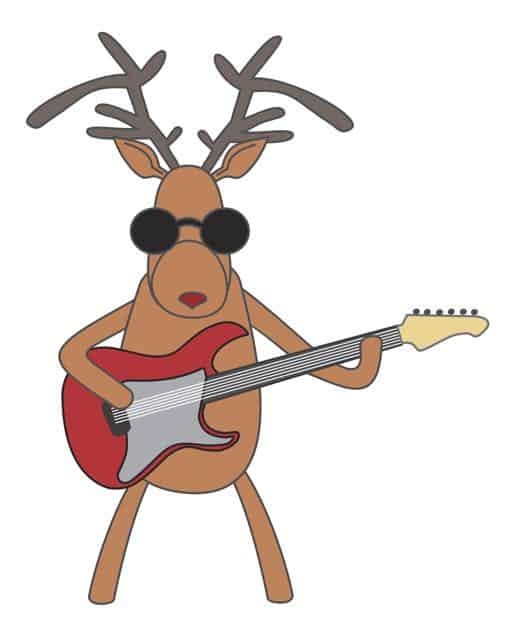 He was the grand prize winner of “Star Search” in 1990 and has become a favorite for fun office holiday party ideas. As a well-known performer in the corporate arena, Bob Stromberg draws from his personal experiences as he captivates audiences everywhere with his witty jokes and musical ability. He talks about everything from adolescence to nights at summer camp, delivering enjoyable entertainment and punchlines that keep you smiling. Daren Streblow has opened for Weird Al Yankovic, Brad Stine, and others, performing a comedy routine with a style that’s on the nerdy side, coining him as “The King of Uncool.” With his offbeat humor, delivered in a subtlety that takes you by surprise, he is a hit for office parties or any other event. Jeff Allen’s ability to explain a situation, taking it from an ordinary life experience to one that makes you laugh out loud in spite of yourself, is unparalleled. Using facial expression and timing as his tools, Jeff Allen takes you into his life and has you looking for parallels to yours before you know it, laughing all the while. Joby Saad, known as the village idiot, is an interesting entertainer. He brings uniqueness to the stage, and before they know it; audiences are laughing harder than they expected to. He sneaks up on you, showing you the world through his eyes. What he sees is funny, and you’ll think so too. Steve Geyer’s natural ability to deliver a joke without it seeming like one sets him apart for other comics. You feel his pain and his triumph, relating to him on the same levels that you might a friend. After 20 years as a comedian, Steve Geyer knows his way around a joke. Bob Nelson makes you laugh at yourself – really hard. He brings stereotypes to the forefront, parodying them and putting them on display. His ability to embody a character is uncanny. Bob Nelson is a clean comic choosing wit over vulgarity. His ability to bring life to his characters is something to see. Juggling and comedy… did you see that coming? It may sound like an odd combination, but Jeff Civillico pulls it off and does so with style. Headlining the show Comedy in Action at The Quad Resort Casino in Las Vegas, Jeff Civillico combines juggling bowling balls and knives with situational comedy that keeps you on your toes. For fun office holiday party ideas, consider bringing in an accomplished musician to keep the event going strong, or a comedian that knows how to actually connect with their audience and keep them laughing steadily. 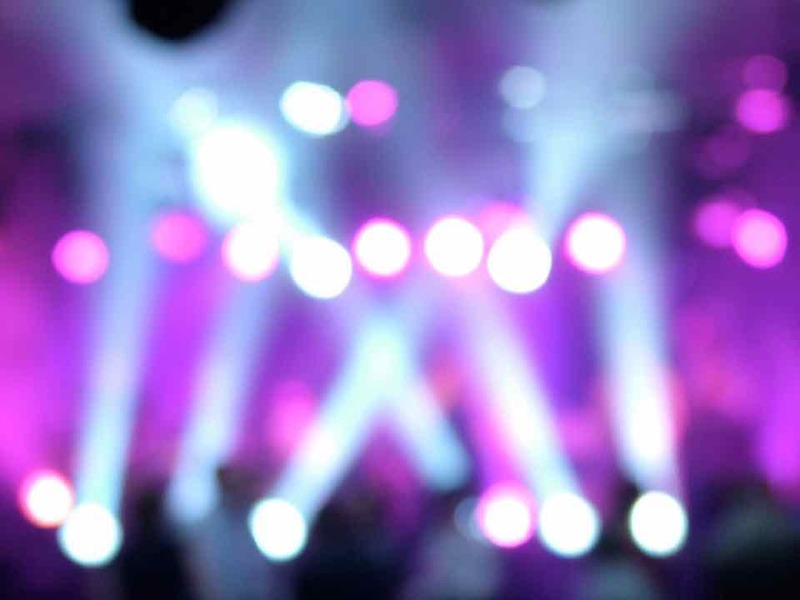 You want your event to be a success, and these entertainers can help you make that a reality. One of the very few comedians to be featured on the cover of the Wall Street Journal, Robert G. Lee has a long list of experiences that contribute to his success in the comedy world. He is a well-known personality having done pre-taping warm-up routines for several successful sitcoms. Incorporating stories of Christmases past along with photo evidence of his unbelievably funny memories, he will leave any audience with laughter reminiscing about their funny holiday stories. Bob Stromberg is a Minnesota-based comedian offers a unique blend of comedy types including audience participation, physical comedy, and traditional stand-up comedy. 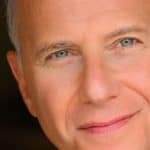 He has performed at countless corporate events for Fortune 500 companies, appeared on television shows and stages around the world, and has authored several successful books and theatrical pieces. His incorporation of shadow puppet storytelling offers a unique experience for audiences. Another Minnesota native, Daren Streblow utilizes observational comedy routines to induce roaring laughter with audiences. More than a comedian, Streblow hosts The Daren Streblow Comedy Show. This Clean Comedy syndicated radio show can be heard on more than 90 stations across the country. Once labeled the “King of Uncool”, Streblow’s routines offer a simple take on the world around him. Streblow has also appeared in several films and television shows. Jim Gaffigan has been entertaining audiences for 25 years. His comedy pieces are often focused on food-related topics, typically humorously discussing his struggle to avoid junk food. During his routines, Gaffigan speaks in different voices, sometimes imitating the characters in his stories, but more often speaking as his conscience or subconscious mind. His ability to say out loud what we are all silently thinking leaves audiences laughing out loud. Gaffigan can be seen on his show, The Jim Gaffigan Show, which airs on TVLand. Hailing from Missouri, Tim Hawkins shares the comical stories of his daily life with his wife and children, sometimes including stories from his childhood. Hawkins’ comedy stylings have been described as one part gifted and two parts twisted but in a good way. His views of the world around him and his experiences as a father will not only have audiences rolling in the aisles but also teaches them how to find humor in their lives. As a member of the Blue Collar Comedy Tour, Jeff Foxworthy is best known for his signature “You might be a redneck” jokes. His “Redneck 12 Days of Christmas” has become a classic since it was released in 1996 and plays every Christmas season on country music stations nationwide. Foxworthy’s hilarious look at life from a country perspective offers a unique experience. He proves that you do not have to be a “redneck” to laugh at his funny Christmas entertainment. This comedy duo consisting of Bradley Bean and Jackson Bailey first met at college in 1992. With a small group of friends, the two spent their free time making comedy videos and stand-up routines. After leaving college, they went their separate ways until 1999 when they met again and began creating new content. Their shows include topics that resonate with the “everyday man” such as Wal-Mart, donuts, marriage, and dating. They often sing songs were parodying these topics. These songs often begin with a serious tone, but quickly take a turn for the humorous. The presence of a professional, seasoned comedy act at your Christmas event will surely have everyone talking about the Christmas they saw one of the above comedians. The addition of funny Christmas entertainment from one of the above comedy acts will put your Christmas event over the top this year. Give the gift of laughter from one of these experienced comedy acts and spread the joy for years to come. Humor that hits home and makes you laugh when you get there is what these comedians offer. From marriage to parenting to juggling, these comedians will make your holiday celebration an event to remember. 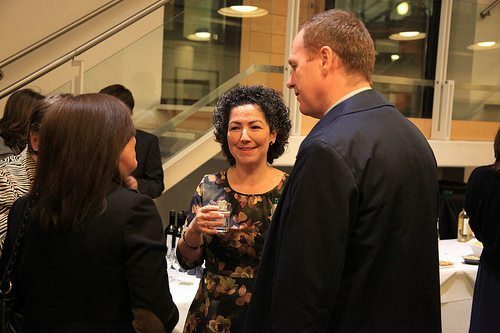 Laughter is part of the season, after all, so set your holiday party up for success. Hire a corporate comedian for your holiday party today! When you need Christmas party ideas give us a call at 615-283-0039. 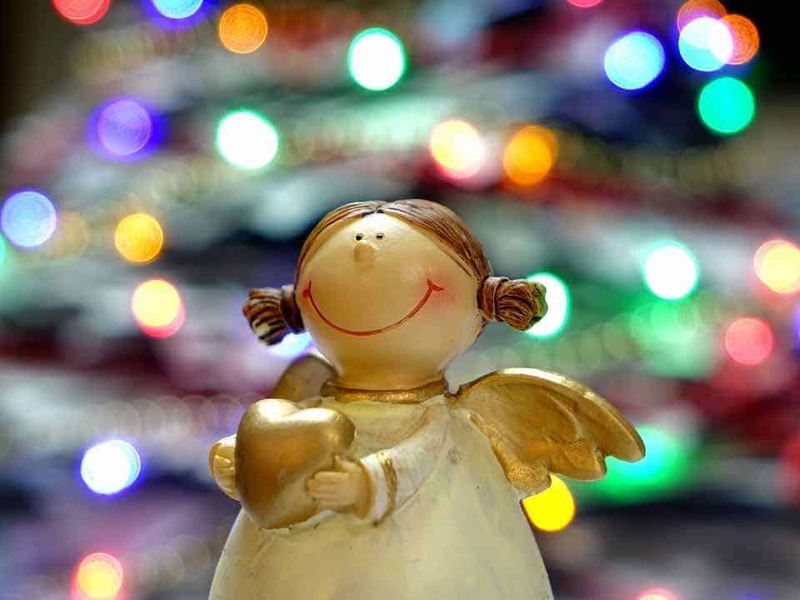 The holiday season is here, and that is great news for charity organizations. Why? Well, people are in a giving mood during the holidays: We know that for a fact. Clearly, this time of the year is imperative for nonprofits of all sizes. 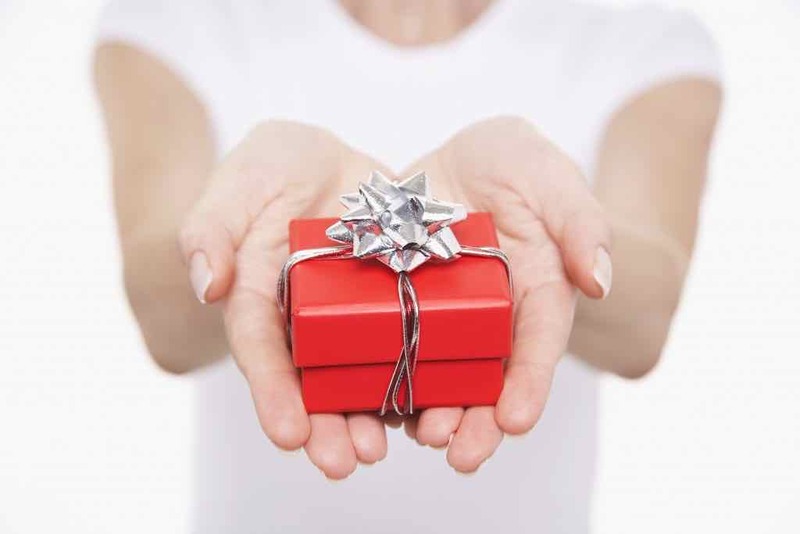 How can you leverage on people’s increased generosity during the season of giving? 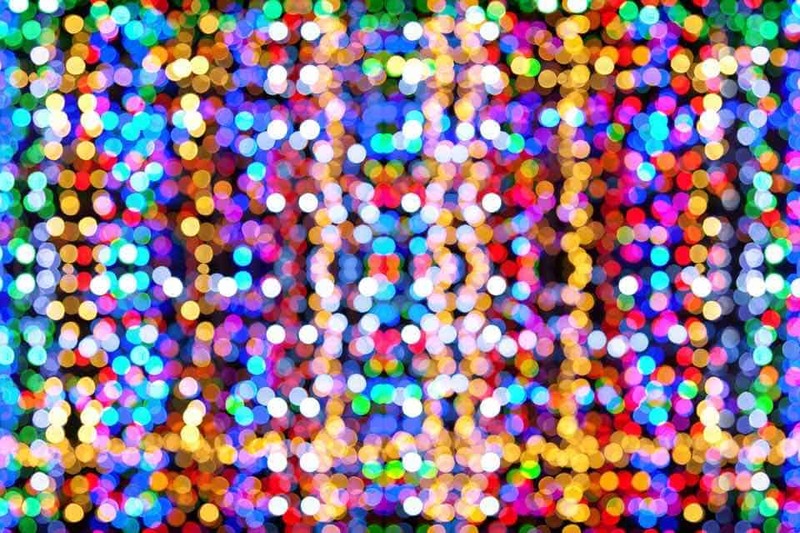 It is simple: By Organizing a Charity Event This Holiday Season. It is an excellent way to boost donations and make sure your cause is the talk of the town. The timing is right, but that does not mean you do not have to put any thought into it. Keep these tips in mind, and your event will be as appealing as Christmas cookies. Stories are the fastest way to get donors to sympathize with your cause. Moreover, they are particularly appropriate for events that take place around the holidays. You can share stories about your mission, and about the people whose lives have changed for the better thanks to your organization. These are the moments that will move donors and help them understand what makes your nonprofit so unique. You should consider choosing a general theme when organizing a charity event this holiday season. Depending on the month when your event will take place, your theme will most likely revolve around Thanksgiving, Christmas, Hanukkah, or Winter in general. Have one of your team members dress up as Santa Claus. Set up a photo booth where donors can take a picture with Santa in exchange for a small donation. Have an auction to sell hand-made Christmas decorations created by those helped by your nonprofit. The only possible downside is that many people have already made plans on how to spend their holidays. You can make sure that will not stand in the way of your event being a success with proper planning. Once you have settled on a date and a location, you can already start promoting your event – even though you do not have all the details in place. Ask for confirmation, and try to stay in touch as much as possible. Theaters – They make for beautiful, unconventional venues. Just make sure they have all the facilities you need to successfully hold your event. Everybody loves to laugh, so you can’t go wrong with a comedian who can entertain your guests throughout the event. We think Bob Nelson would be a great addition to any charity event since he has plenty of experience with fundraisers. A big part of Organizing a Charity Event This Holiday Season that will increase funds has to do with creating a giving environment. In other words, setting the right atmosphere. We have already established that donors tend to be more active during the holidays. However, you can further boost donations if the ambiance is fitting. Needless to say, entertainment plays an essential role. The acapella music group Linkin’ Bridge would be an excellent choice. They will surely impress guests with their warm harmonies and emotional performances. 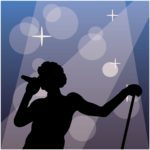 Looking for a variety act that will remind guests how important their presences is for your cause? 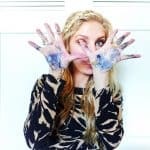 In this case, we recommend Heidi Schwartz – a live event painter everyone will remember. Just like Santa Claus, this opportunity only comes once a year. Now is the perfect time to plan for the new year, and make these last months count. You can use the tips shown in this article to tweak and improve your current holiday campaign, or save them up and use them next year. Either way, we hope they would be of good use to you. Want more options? We’ve got them! Feel free to check out the rest of our top quality entertainers and make sure to contact us as soon as possible if you find someone you like! Congratulations! You have been chosen to run the annual office Christmas party. First, don’t panic! Take a deep breath and talk to your co-worker to gain viable work Christmas party ideas. Comedians often are a big draw for this type of parties. You need comedians that everyone will enjoy listening to and laughing with while he or she enjoy friendly banter. You also want comics that are versatile and can perform a variety of activities to keep your co-workers entertained and happy. Work Christmas party ideas vary depending on the environment and space you have. 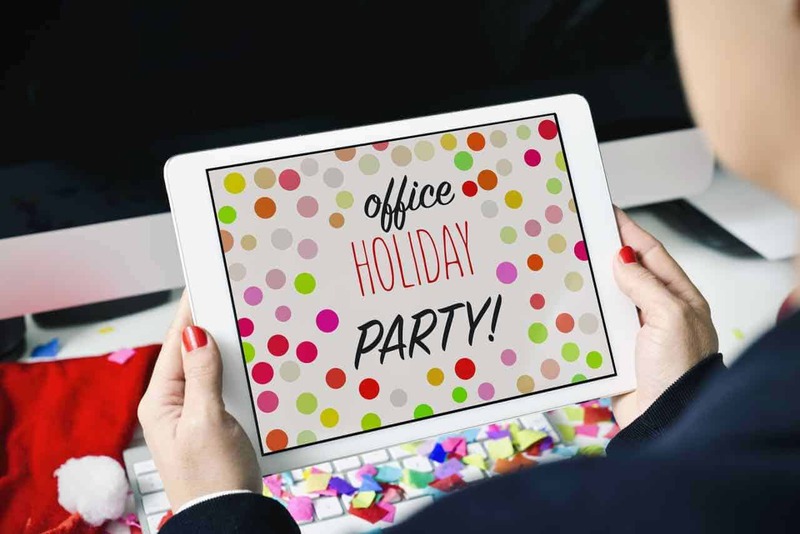 For instance, if you are planning to have your work Christmas party at the office in a small space, you’ll need to plan the event differently than if you’re planning to hold the event in a larger venue. The five entertainers featured below provide a wide range of activities from stand-up comedy shows to sand painting. Brad Todd is a versatile stand-up comedian who specializes in contemporary themes such as family and work life. Brad has a knack taking the ordinary things in life and making audiences see the funny side without reverting to crude jokes. Joe Castillo works wonders with sand creating pictures that seem to pop out on screen. Called “Sand Story,” Joe works with a light board, sand and his fingers to create images that are projected on a screen. Some work Christmas party ideas could include stories while Joe creates the images on the screen. A ventriloquist that uses a variety of materials, Taylor Mason makes ordinary materials such as socks come alive. He also is a great comedian and accomplished pianist. Like Brad Todd, he also specializes in contemporary themes to makes audiences laugh. Daren’s talents lie in the observational outlook on life. 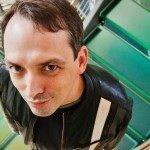 Daren Streblow works to customize his routines to ensure that everyone can see the humor without feeling offended by his remarks. His clean, positive comedy is a hit with all ages from teens to the elderly. An accomplished guitar player and writer, Paul Aldrich wows audiences with his unique take on people. Paul specializes in creating inspirational parodies and customized songs for both corporate and church events. It is that time of year again. The stores have been preparing for it since before Halloween. The kids have been talking about it since last year. It is Christmas time! Moreover, if you are in charge of the company party, you might be racking your brain right now. If you are looking for unique Christmas party ideas for work, you’ve come to the right place. Hiring a comedian or a magician is one of the most exciting ways to celebrate the holiday season. These professionals will capture the interest of any crowd. You will virtually see the stress of the year melting off your colleagues as they laugh as hard as they possibly can. Work problems will disappear, and good times will roll in. Laughter has that kind of effect on people. Christmas party ideas for work can be hard to come by. Wow, your colleagues by doing something they never expected. Brad Trackman is making the rounds. This New Yorker has told his jokes on The Late Late Night Show, Gotham Comedy Live, and NY Comedy Festival. His clean delivery and relevant style make his audiences sit up and listen. Taylor Mason brings a lot to the table. He is a comedian, puppeteer, and musician. He manages to combine those in a way that is hilarious and not kitschy. His lyrics are as funny as his stand-up. With Taylor, you get the full entertainment package. You’ve seen this guy before. Jimmy Dunn has a recurring role on the TV show The McCarthys. You might have seen him when she started out in Massachusetts slinging comedy in exchange for beer and fried clams. Alternatively, maybe you’ve seen one of his performances, like the one on The David Letterman Show or Comedy All-Stars. Either way, his comedy makes you feel like you are visiting with an old friend. Adam Trent takes traditional magic tricks and revitalizes them. His style – more like a pop star in a music video than a magician – is mesmerizing. You cannot help but watch as he dances around the stage, makes his assistance appear out of thin air, or saws himself in half before your eyes… all while singing a tune. He is the new face of magic and one to watch. Now here is a seasoned professional. James has been at it for 20 years. His style of humor is down-home and real – you either know someone who would say some of the things he says or you would. Moreover, he is funny. Oh, is he funny? He’ll make you laugh harder than you expected to. Comedy has a calming effect on people. They walk away feeling refreshed and new. Be the person who brings that to the office. 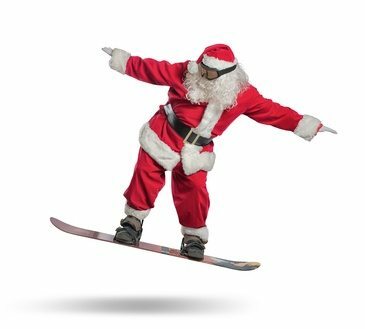 If you are looking for Christmas party ideas for work that are different and outside the box, hire a different kind of entertainer. Hire a comedian or a magician for your holiday party and let the laughter begin. When planning your work Christmas party, you should consider three things: space, cost and your planned audience. Space is important because you need to know where the comedian will set up. Cost is important because you need to stay in your budget, and your anticipated audience is also important. Once you decided these three factors, your choices of work Christmas party ideas are limitless. Some audiences will adore the magnificence and artistry of Joe Castillo’s Sand Art while other groups might prefer the artistic stylings of an accomplished pianist or guitar player. Then you have audiences that want someone who can help them see the funny side of life, as a stand-up comedian can. Careful consideration of what your company would like to see and the ability to “wow” your audience will stand you in good stead with your boss.